The jury at the Institut Français du Design has unanimously awarded its Janus Label of Excellence to the Skylounge Core seat in business class. The seat, to be marketed in 2019, meets all five of the “E” criteria for the Label: Economical, Esthetic, Ergonomic, Ethical, and Emotional. Skylounge Core is a top-of-the-line business-class seat, optimized for use on the Airbus A330 and Boeing 787. The seat offers passengers a more expansive travel environment, measuring 20 inches across and including a flat bed surface. The streamlined controls are also more ergonomic, so the seat is easier to use. Plus, there are storage compartments and a versatile space for dining, working or leisure time. With this new seat, airlines can offer their passengers the best possible travel experience. Thanks to the multiple opportunities for customization, airlines are ensured a wide array of options for fully conveying their image and identity. The industrial design, engineering and industrialization teams at Safran Seats developed new production processes for the composite materials that comprise the shell of the seat. Production has improved in quality, maturity and speed, thanks in particular to the significant number of parts that are shared among versions. Since 1951, the Institut Français du Design (French Institute of Design) has been singling out products and services that focus on respect for users and their environment. To make its selections, the Institute relies on criteria rooted in principles, such as the designer’s intention, the object’s ethical value, its appearance, the materials used and its value and appeal for users. The first A330neo for launch operator TAP Air Portugal – MSN1819 – completed its 4:32 hours maiden flight. The aircraft now joins the fleet of two A330-900 test aircraft already performing flight tests since 19 October 2017. MSN1819 is the first aircraft fitted with the Airspace cabin by Airbus. It is equipped with light Flight Test Instrumentation during its test phase to check cabin systems such as air conditioning, crew rest etc. Offering the lowest operating costs in its category, and thanks to continuous investments in latest innovations, the new generation A330neo is the most profitable and best performing aircraft in its size category according to Airbus. The A330neo first delivery is planned in summer 2018. The A330neos will usher the brand-new Airspace by Airbus cabin concept, a consumer-centric cabin developed with passengers at heart and airlines in mind around the four pillars: Comfort, Ambience, Service and Design. These cabin options will ensure that the A330neos will set the benchmark in passenger experience and airline value, alongside its widebody partner, the A350 XWB. 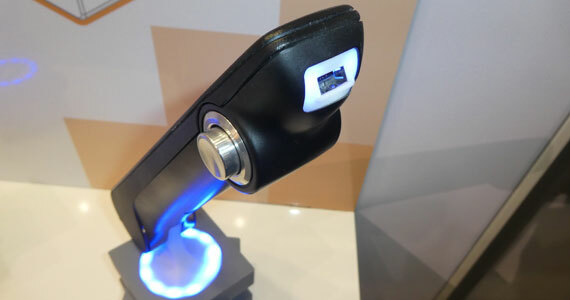 As we all know, the IFEC industry is duly focused on connectivity and how it will enable both the passenger and the airline to stay more connected throughout the journey. In fact, some are predicting that connectivity will double by 2019! But have we really looked at what that statement truly means for our industry and the customers served, whether that be airlines, the traveler, or both? The short answer is yes. Airframers, such as Airbus, Boeing, and Embraer certainly have ‘Aftermarket Visions’. The concept here is that historically within the aviation sector the supply chain has been vertically aligned and fragmented. In order to achieve cost efficiencies, the OEMs are bundling maintenance, flight ops, parts, engineering, modifications, training and various other packaged solutions in an effort to establish agile capabilities that can respond rapidly to their customer demands. In years past, many of these services were strictly after market and often performed by third party companies. Now the OEMs are leveraging their service capabilities to increase the value of the aftermarket – for their customers and themselves. Much of this is being accomplished via Big Data, working across the various value streams and utilizing data analytics to improve efficiencies and costs, thus benefiting their customers – the airline. All of this is being facilitated by the rapid acceptance and installation of global aircraft connectivity. In a recent SITA IT Survey 37% of airlines who participated indicated they operate connected aircraft. While 45% are either operating or taking delivery of aircraft that have connectivity. Significantly, the survey established the importance of connecting aircraft to the ground in flight, with 71% stating they are investing in EFBs, this is an important indicator that airline managers are seeking to improve maintenance and operational efficiencies. The survey indicated that the percentage is slightly lower for providing Wi-Fi to passengers, while 49% of those participating indicated they are allocating funds to provide wireless services for crew – both cabin and flight deck. Perhaps this is fairly intuitive, if you have been around the IFEC industry over the last 4 or 5 years. However, what might not be so obvious is the move from ‘siloed’ industry alliances to alliances with important other synergies that enable increased efficiency. WTO confirmed: no prohibited subsidies at Airbus, minor elements of actionable subsidies to be addressed. WTO confirms compliance fully achieved on A320 and A330, remaining tweaks on A380 and A350 only minor. Report is only “half the story.” Much more interesting part – on Boeing’s more egregious and competition-damaging subsidies – to come later this year. The World Trade Organization (WTO) today in its final decision found that the European Union (EU) has failed to honor multiple previous rulings and has provided more than $22 billion of illegal subsidies to European aircraft maker Airbus. After examining this case for more than a decade, the WTO has determined the EU must end its unfair business practices and remedy the ongoing harm caused by the illegal subsidies. This landmark ruling by the WTO Appellate Body is the final decision in this case, which was initiated in 2006. Today’s decision ends the dispute and clears the way for the United States Trade Representative (USTR) to seek remedies in the form of tariffs against European imports to the United States. The U.S. government, with Boeing’s full support, has complied with WTO rulings stemming from the two cases the EU brought against the United States. One case has already ended in favor of the United States, and in the other, the vast majority of the allegations the EU made against the United States and Boeing were dismissed. Where there were narrow rulings against U.S. practices, they have been fully addressed to the WTO’s satisfaction. The folks at PDT do a really great job of summarizing shows and here is the link to the 2018 AIX Trend Report: If you did not go but need a summary for your boss, this one is perfect! Congratulations PDT (Astronics). With the US Supreme Court permitting gambling, we wonder which airline will deliver a seatback gambling version to make a few bucks? New York | May 2, 2018–JetBlue (NASDAQ: JBLU) today formally unveiled its first Airbus A320 to undergo the airline’s fleet restyling, which is bringing an all-new interior to its A320 aircraft. The aircraft – tail N646JB named “Bravo Lima Uniform Echo” – operated its first scheduled flight today between Boston Logan international Airport (BOS) and Bermuda’s L.F. Wade International Airport (BDA). True to its founding mission to bring humanity back to air travel, JetBlue’s restyled interiors boast the very best in customer comfort, connectivity and entertainment – creating an environment that feels more like lounging in your living room than flying at 35,000-feet. JetBlue’s A320 cabin restyling marks the first major overhaul the customer-friendly airline’s original fleet since launching in 2000. The industry-disrupting airline that first revolutionized flying with a refreshing reputation for its customer-focused approach, free snacks and signature live TV at every seat is creating a modernized experience based on customer preferences. For most of the airlines 101 destinations the A320 restyling will bring the first upgraded JetBlue product to their city in nearly 20 years. A major focus of the restyling is keeping customers connected throughout their flight, including a new inflight entertainment system, high-definition seatback televisions, in-seat power outlets with USB ports and continued free gate-to-gate Fly-Fi high-speed internet. The restyling will include two iterations of the design, with the 2018 model introducing features from the popular A321 interior and the 2019 and beyond model featuring an innovative seat design and inflight entertainment system unlike anything offered by U.S. airlines today. For roughly the next nine months, JetBlue’s A320s will be restyled with the Rockwell Collins Pinnacle seat and LiveTV 4 entertainment options currently enjoyed by customers on the airline’s A321 aircraft. In early 2019, JetBlue will transition to the restyling featuring the Rockwell Collins Meridian seat and Thales AVANT and ViaSat-2 products. Expanded seat width offers more than 18 inches, the widest available for the A320. Contoured seatback design at knee level creates additional living space for every customer. At least two easily-accessible and repositioned power connections at every seat. Also in 2019, JetBlue will build on its reputation as an industry leader in inflight entertainment options with Thales AVANT and ViaSat-2 connectivity. With this system, JetBlue will offer customers aboard its restyled A320s expanded entertainment choices in nearly every region the airline flies. More than 100 channels of live television. NFC paining turning personal handheld devices into remotes or gaming controllers. JetBlue’s A320 restyling also allows the airline to refresh the overall feel of the aircraft interior. New LED lighting will enhance the look and tone of the in-cabin ambiance and allow for a variety of lighting settings to increase customer comfort. New sidewalls and overhead bins will also be installed, as well as a variety of newly incorporated design elements throughout that will capture JetBlue’s unique style and personality. JetBlue expects to complete approximately a dozen A320 restyles by the end of 2018, with the ability to complete multiple aircraft each month by 2019. JetBlue’s so-called A320 classics will be restyled first. JetBlue’s overall A320 restyling is set to take approximately three years. As JetBlue refreshes its A320 fleet the airline is also enhancing an additional element that cannot be matched anywhere else in the sky: the airline’s crewmembers. JetBlue’s philosophy has always been to hire those who are passionate about providing great service. In 2017 the airline grew to include more than 5,000 inflight crewmembers. At the same time JetBlue made a commitment to provide every one of them with enhanced tools and training for more meaningful interactions with customers every day. Building on the success of JetBlue’s specially trained Mint inflight crewmembers, the airline expanded its unique ‘JetBlue Promises’ training standards across the board, with every inflight crewmember on track to compete the program in 2018. JetBlue is committed to offering world-class hospitality experiences across the entire airline, on every flight and at every seat. Please visit JetBlue’s Media Room to download and view additional images and video. Zodiac Seats is constantly looking for new solutions to adapt to the demanding market of air transport, to support airline strategies and to improve the passenger experience. Zodiac Seats is able to quickly suit evolving passenger needs, technology trends and airlines emerging new business models. At the Aircraft Interiors Expo 2018, Zodiac Seats will show its wide and efficient product line – from the super lightweight Z200, to the highly sophisticated Singapore Airlines A380 First Class Suite designed by Pierrejean Design Studio and manufactured by Zodiac Seats – demonstrating Zodiac Aerospace’s expertise on several classes. Innovation has always been part of our DNA and new products will be unveiled as well as a brand new immersive experience. economy seat for short & medium-haul flights. Available in two different versions, one simple and super lightweight, another fully featured and distinctive, this seat offers more possibilities to narrow body operators. Lighter than the previous generation, it also provides minimum of 1.5” of additional legroom, a greatly improved living space from 28” pitch. Z200 seat platform is therefore the perfect choice for comfort and efficiency. passenger modules tailored to airlines preferences: from simple one piece table, to bi-fold with upper literature pocket or one piece table with a range of options satisfying the most demanding tech savvy passengers, all integrated in a seat developed with a strong focus on passenger comfort and seat reliability. Z400 is the ultimate choice for the long haul operations. – Skylounge Core: Latest re-designed staggered super business class seat optimized for A330 and 787 aircraft that focuses on offering class leading features with maximum cabin efficiency. The innovative product architecture enables airlines to offer the best possible experience to passengers whilst also customizing elements that reflect their branding and unique identity through a multiple choice of options. This next generation modular platform offers a reliable and pre-certified risk free solution with quality at its core. – Doors concepts for Business Class seats: As Business Class passengers always look for more privacy and coziness, Zodiac seats developed two new concepts to address this important challenge: a single conventional door showed on the Cirrus Suite concept and one flexible privacy screen exhibited on the Skylounge Suite concept. On one hand, a door designed with a new security system and on the other hand, an alternative flexible solution fulfilling the same privative function but offering more living space, more customization options and a weight & cost significantly reduced. With these concepts, industrial designers found the perfect optimization with seats design, positioning Zodiac Seats ahead of the competition in this segment. The visitors will also have the possibility to experience an immersive experience in virtual reality and be able to walk into Economy, Business and First Class cabins, to sit physically and virtually on seats. It will allow the visitor to see a full cabin and to evaluate the passenger experience. For two years, the Zodiac Seats design team, including more than twenty industrial designers around the world, has worked intensively on style and perceived quality process and its execution embedding clean and crisp finishes and alignment. This attention to details raising the bar on premiumness of our products and providing a distinctive experience. Zodiac Seats is also proud to announce that its EcoZlounge concept has been chosen as a finalist for the Crystal Cabin Award 2018, in the “Passenger Comfort Hardware” category. Moreover, we would like to congratulate Singapore Airlines, finalist in the “Cabin Concept” category for their A380 First Class Suites designed by Pierrejean Design Studio and manufactured by Zodiac Seats. Seattle, WA | January 16, 2018– Boeing [NYSE: BA] and Adient [NYSE:ADNT] today announced the formation of Adient Aerospace, a joint venture that will develop, manufacture and sell a portfolio of seating products to airlines and aircraft leasing companies. The seats will be available for installation on new airplanes and as retrofit configurations for aircraft produced by Boeing and other commercial airplane manufacturers. The joint venture between Boeing, the world’s largest aerospace company, and Adient, the global leader in automotive seating, addresses the aviation industry’s needs for more capacity in the seating category, superior quality and reliable on-time performance. Adient Aerospace will benefit from the world-class engineering teams and innovative cultures at both companies, as well as shared expertise in managing complex, global supply chains. Adient Aerospace’s operational headquarters, technology center and initial production plant will be located in Kaiserslautern, Germany, near Frankfurt. The joint venture’s initial customer service center will be based in Seattle, Washington. Adient Aerospace aftermarket spare parts distribution will be performed exclusively through Aviall, a wholly owned subsidiary of Boeing. Adient is the majority stakeholder in the new company (50.01 percent share) and expects the joint venture to be included in its consolidated financial statements. Boeing (as 49.99 percent partner) will receive a proportionate share of the earnings and cash flow. Both will have representation on Adient Aerospace’s board of directors. Industry analysts forecast the commercial aircraft seating market to grow from approximately $4.5 billion in 2017 to $6 billion by 2026. Santiago, Chile and California, USA | August 2017– UK based aircraft seating manufacturer Mirus has announced the opening of two American offices to assist with its ambitious expansion plans. The California (US) and Santiago (Chile) based operations allow Mirus to better serve the airline industry locally and are managed by Executive VP Cameron Allan and LAM Account Director Kai Kosicki respectively. To reinforce this commitment to the market, Mirus will be exhibiting its range of seating solutions at the Aircraft Interiors Expo in Long Beach, California for the first time (September 26th – 28th 2017). Mirus will be showcasing the stylish Hawk economy seating platform. A modular product, the Hawk can be configured for a range of airline applications. On display at Long Beach will be two examples of the Hawk seat configuration – an entry-level fixed recline variant and a plush, USB equipped reclining seat. The Hawk redefines value for aircraft seating, providing an unrivalled blend of cost, weight, durability and quality, along with best in class living space proposition. Dubai | April 5, 2017– Dubai-based carrier flydubai and the German aircraft seat manufacturer Recaro Aircraft Seating today announced at the Aircraft Interiors Expo in Hamburg the continuation of their long-standing partnership. The carrier will equip its new Boeing 737 MAX 8 aircraft, scheduled to enter service in the second half of 2017, with Recaro Aircraft Seating’s global bestseller CL3710. The seat will reflect the maturity of the airline as well as the growing network it serves, ranging from Prague in the west to Bangkok on the east. 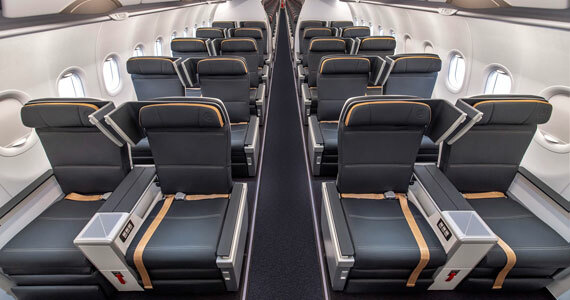 The order builds on the successful relationship between flydubai and Recaro Aircraft Seating. Since 2008, flydubai has equipped its current fleet of 58 Next-Generation Boeing 737-800s with premium seats from the German seat manufacturer. The CL3710 economy class seat reflects Recaro Aircraft Seating’s Ingenious Design with the perfect combination of ergonomics, function and aesthetics. Weighing less than 12 kilograms, it is one of the lightest seats in its class and stands out with its numerous comfortable features. For example, the six-way adjustable, ergonomic headrest has the ability to tilt horizontally, offering passengers outstanding comfort through optimal neck support. “flydubai and Recaro have been trusting and successful partners for many years. We are extremely pleased about the opportunity to continue our partnership with this major order for CL3710 economy class seats. We are proud to contribute to the success of flydubai’s continuously expanding fleet,” said Dr. Mark Hiller, Chief Executive Officer and Shareholder of Recaro Aircraft Seating. NBAA, Las Vegas | November 16, 2015– Lufthansa Technik AG’s new seating concept, chair[TM], has passed all 16g and 9g certification tests for forward and aft facing installations. This certification allows owners, operators, and designers to choose from thousands of possible chair[TM] configurations to match the need of a particular cabin environment. The ETSO (European Technical Standard Orders) / TSO (Technical Standard Orders) certificate is in process and will be issued over the next few months. The chair[TM] is based on an innovative pedestal design upon which is mounted a baseline core skeleton or structure. This certified pedestal and structure is intentionally left incomplete, allowing designers to create a chair to meet the particular needs of a particular cabin – dining room, video lounge, office, bedroom, etc. Not only the height, width, and depth, but also the overall “look-and-feel” can be configured. The shape, upholstery, and padding can be selected to allow for an uncompromised interior design under one certification. An innovative certification process allows the Lufthansa Technik experts to validate changes to the chair[TM] without intensive re-testing. Testing was designed and passed to maximum dynamic load cases. This enables changes to be classified as minor deviations under the umbrella of an existing ETSO/TSO. The benefit of chair[TM] is not only an artistic interpretation, it also permits a variety of design options which in the past were not possible. The chair[TM] family concept will save space, optimize weight, and create a more ergonomic interior.